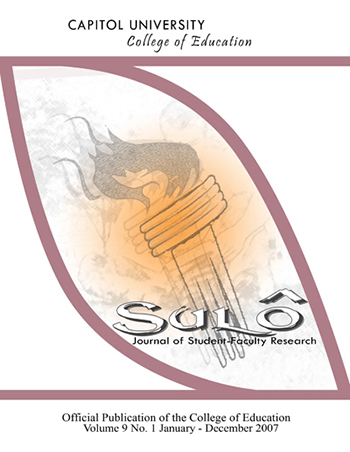 The SULÔ: Journal of Student-Faculty Research is the official publication of the College of Education. It is a journal of students and faculty research. It is an avenue for students and faculty to publish materials out of their search of information to help not only senior students and faculty themselves, but also for other students and other faculty to learn from it, and be encouraged to write in order to express their learning and understanding.